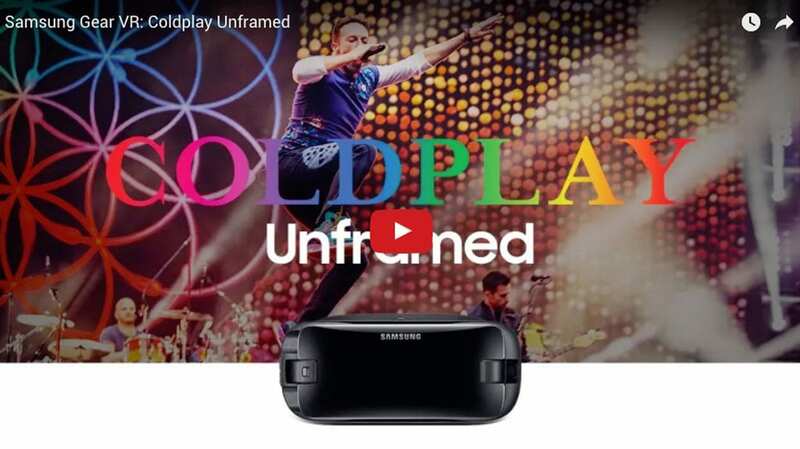 Samsung and Live Nation team-up to stream Coldplay Live in virtual reality. Samsung Electronics America and Live Nation will broadcast Coldplay’s “A Head Full of Dreams Tour” live in virtual reality from Chicago’s Soldier Field for the first time ever. Fans around the world will be transported to the best seats in the house to experience the band’s electrifying performance from a totally new and immersive perspective. The live broadcast will be available on Samsung Gear VR powered by Oculus through the Samsung VR service on August 17, starting at 8:30 pm CT.
From the pyrotechnics to the laser lights and the phenomenal set list, Gear VR users in more than 50 countries will be able to experience the magic of Coldplay’s performance at no additional cost. To tune-in, consumers will need a Gear VR headset with a compatible Samsung smartphone and navigate to the Samsung VR service. A concert replay will also be available on Samsung VR for a limited time.